We brought into one turnkey solution what we consider to be the best technologies to teach STEM and Coding for grades 9 to 12. The Engage! High School bundle includes everything you need to make your program successful. We brought into one turnkey solution what we consider to be the best technologies to teach STEM and Coding for grades 9 to 12. 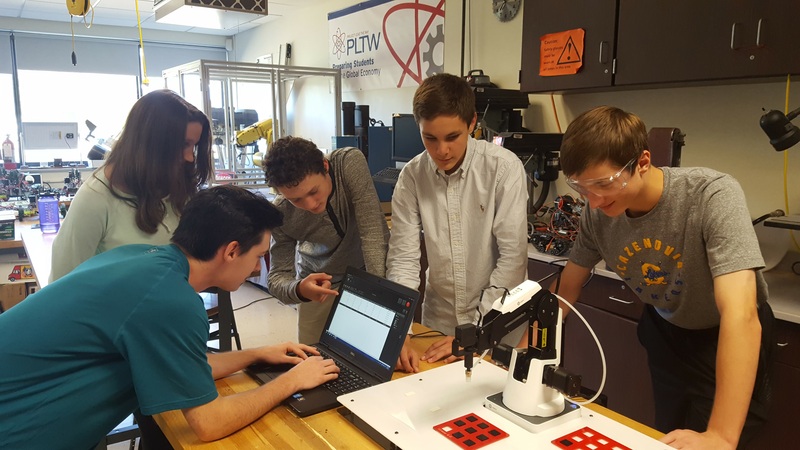 The RobotLAB 9-12 STEM Lab is ideal for a classroom of 15 to 20 students and it includes everything you need to make your program successful. 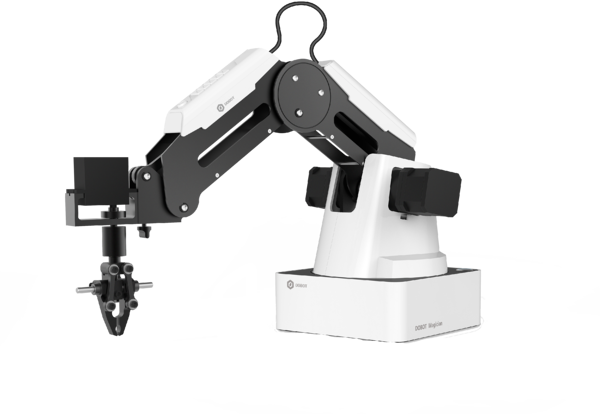 Dobot Magician V3 is a truly cutting-edge robotic arm made available for your STEAM program. It's a highly cost effective solution empowering 21st century skills and unleashing students' creativity. 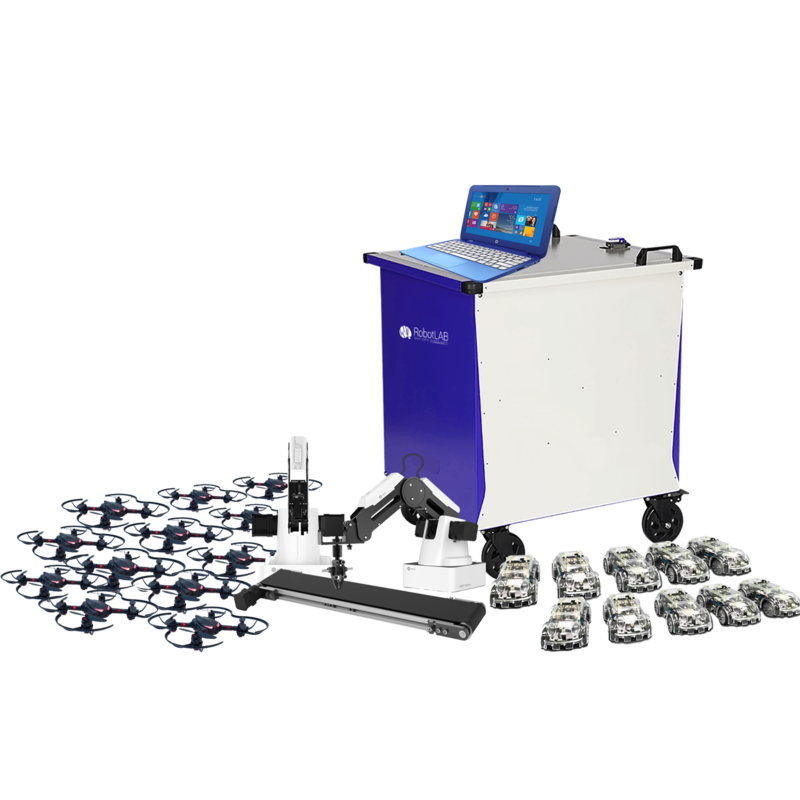 The lab also comes with the Dobot Conveyor Belt which is a great component for building an automation process with you robot. 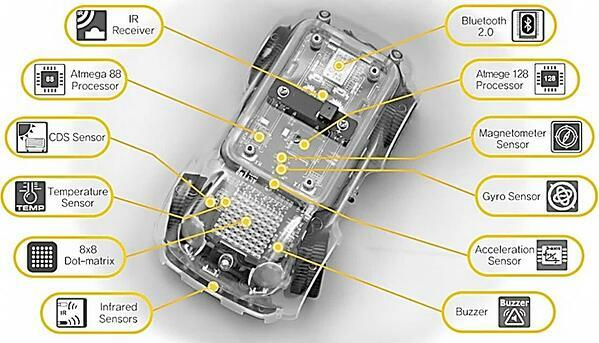 Have your students learn the fundamentals of programming and drones by creating autonomous flight. 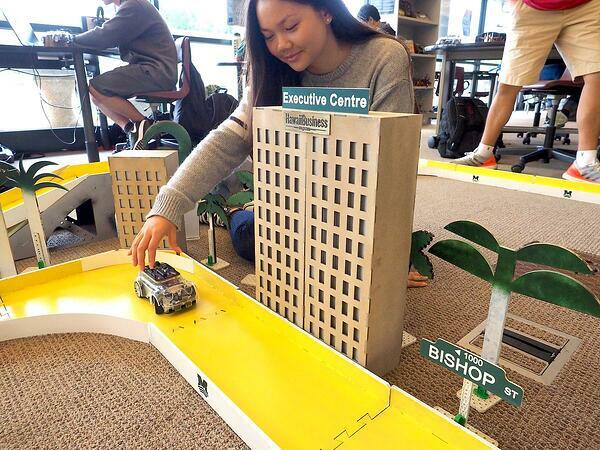 Get them familiar with sensors, aerodynamics, programming logic, remote controls, and more. The more they learn, the more features they unlock. Unleash your Students' programming potential by taking flight. We have a spectrum of fully developed NGSS-Aligned lesson plans and activities for teachers of all types from grades 9 to 12 included in the STEM Lab. Developed in conjunction with educators in the field, these classes have been tested and optimized to impart critical STEM lessons. Click to watch the video about RobotLAB 9-12 STEM Lab.